WebCanDo Blog: Does it pay to buy a Netbook? Does it pay to buy a Netbook? A netbook is a small portable laptop computer designed for wireless communication and access to the Internet. The netbook is designed for limited uses such as web browsing and e-mailing, netbooks rely heavily on the Internet and wifi for remote access to applications and are targeted increasingly at users who require a less powerful computer, most netbooks are priced in the $300 to $600 range at full retail. In recent months, major wireless carriers are facing a slow down in wireless growth and are now subsizing inexpensive netbooks for for future growth. AT&T and Verizon Wireless are selling HP netbooks for as low as $199 with a two year wireless data contract at $40 per month or $59.99 per month. AT&T subscribers who sign up for a two year service agreement can purchase an Acer netbook for as little as $50, but they must agree to a $60 a month for 5 gigabytes of wireless service. The carriers want to sell the netbooks the same way AT&T sells Apple's iPhone, by subsidizing the device and re-cooping the costs with contracts for wireless data plans. Business Week reported that AT&T announced that by midsummer it would broaden its own netbook experiment to all its stores nationwide, offering Dell, Acer, or Lenovo products. Using a subsized netbook and wireless plan averages $ 1,500 over the course of a two year agreement. 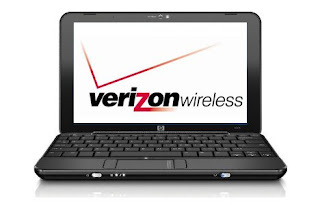 Verizon is selling the HP Mini 1151NR netbook equipped with the 1.6GHz Intel Atom N270, 1GB of RAM, an 80GB HDD, two USB 2.0 ports, 802.11b/g, SD slot, 10.1 inch screen and Windows XP and of course a 3G EVDO card. You should note that all netbooks miss a DVD drive and have limited storage, so for heavy users they miss the mark. The average low end laptop typically costs between $ 350 and $ 499. 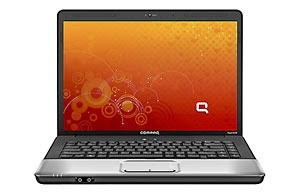 We recently found a full featured Compaq Presario laptop CQ60Z on the HP.com website on sale for $ 399, the laptop came with 2.1GHz AMD Sempron SI-42, 1GB of RAM, 160 GB of HDD, 15.6 inch HD Display, 801.11/b/g, three USB 2.0 ports, HDMI port, LAN port, external monitor port, SD/MS/PRO/MMC/XD slot, and Windows Vista Home Basic SP1 (32-bit). The return on investment for a netbook would be based on how you plan on using the device. A road warrior who travels may consider a netbook, but can easily miss the features of a notebook. A light user who does not want to carry a large laptop would be the best candidate for a netbook. It is a matter of choice, yes. Is it practical, no. With wifi now available at most hotels, airports, and shops it has become easier to connect to the web and Internet. Many broadband carriers, like Cablevision and Verizon will be offering wifi in thier coverage areas See More The expense for a carrier subsidized netbook becomes less of a value play and more of the cool device to have and an expensive proposition. Our opinion is stick with a laptop or notebook.